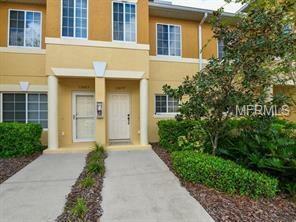 Great townhome in Sought after Stoneywood Cove. 2 bedroom/ loft / 2.5 bathrooms . New carpet and new paint make this great place move in ready . Corian counter tops and tile throughout. Bedrooms have new carpet. Great floor plan. Lots of storage. Great time to buy in such a good community. Move in ready. Quiet and relaxing lanai with a storage closet. Enjoy the community pool. Just a few miles to worlds most beautiful beaches, shopping and restaurants. This is a great primary home, second home or rental investment. Easy to show. Ready to go !! Don't miss out on this one. Additional Lease Restrictions Minimum Of 1 Year. Pet Restrictions 2 Pets Only.